If you’re looking for an app by which you can easily score high ranks/points in any offline game, then you should definitely try out Game Killer. The app lets you multiply your coins/credits in almost any offline game; there are other alternatives also, but most of them crash while processing. Even Game killer was used to crash/stuck in the middle of the process, but the latest version of the app works flawlessly. There are many sites to download the app, as usual, many sites providing the app which contain virus or old version. 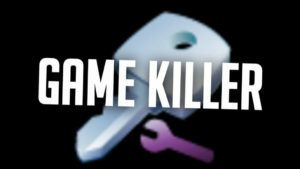 So we’ve decided to help our visitors by providing them the latest version of Game Killer, you will find a direct link to download Game Killer. Downloading will be completing within few minutes( depending on your internet connectivity speed). Install the app on your Android device; now you are all set to convert your credits/coins into infinite in any game. In case, if you don’t know how to use the app to multiply the credits, then follow the instructions which I’ve shared below. Open the app, you will find all the apps which are installed on your android device in the Game Killer app. Select any game/app, once you select any game the app will start floating on your android’s screen. Now start playing the game and earn some coins/points in the game, now open the game killer app and enter the amount of credits/coins/points you’ve earned in the game. The app should show single value in the box, in case if it doesn’t then keep playing the game and enter in the app everytime you earn some credit or coins. If you see single value in the app, then enter the amount of points or credits you want to increase in the game. Once you enter the amount, the app will automatically add the points in your game.